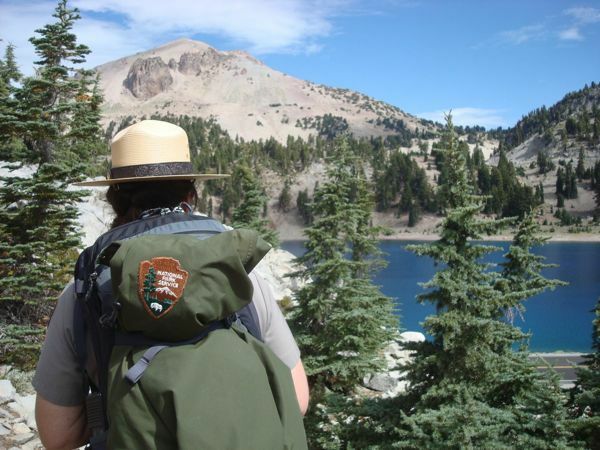 Stay with us in a cabin or home in Lake Almanor and spend a day at Lassen Volcanic National Park. “Witness a brief moment in the ancient battle between the earth shaping forces of creation and destruction. Nestled within Lassen’s peaceful mountain forests you will find that hissing fumaroles and boiling mud pots still shape and change the land. Lassen Peak is the largest plug dome volcano in the world and the southern most volcano in the Cascade Range. It last erupted in 1914 and was declared a National Park in 1916. The new Kohm Ya-mah-nee Visitor Center, at the southern entrance to the park, is only 25 miles from Chester and Lake Almanor. Kohm Ya-mah-nee is the Mountain Maidu word for “Snow Mountain”. The Visitors center features an exhibit hall, indoor theater and outdoor amphitheater, bookstore, gift shop and café.. Just 17 miles from the town of Chester, which lies along the shores of Lake Almanor is Drakesbad Guest Ranch is home to several Lassen Park trail heads, one of which will take you to the boiling springs, femorales and mud pots of Devils Kitchen.